Cellulite Treatment - What Really Works? Cost, Reviews, etc. When it comes to changing appearance, few things are as impactful as fat. Whether gained or lost, fat is often at the causative center when it comes to body aesthetics. Simply stated that’s what cellulite is; it’s fat. What distinguishes cellulite from other types of fat is the dimpled, “cottage-cheese” like appearance that it has on the skin. Whereas some fats can pass unnoticed, cellulite’s effect on the skin is such that it’s one of the most common complaints people have when it comes to physical traits they dislike about themselves. Cellulite is nothing more than fat that forms beneath the skin. Its distinguishing bumpy appearance is a result of the fat pushing against connective tissue. This pressure results in the uneven, dimpled appearance that cellulite has on the skin. What many people find annoying about cellulite is that you don’t actually need to be overweight in order to have it. Women are more likely than men to have cellulite, but men are nonetheless susceptible. That said, a staggering 90 percent of women will have cellulite at some point in their life. Cellulite most typically affects the thighs, buttocks, hips and abdomen. Cellulite is not completely understood and misinformation abounds. As previously noted, you don’t necessarily need to be overweight in order to have cellulite. Although losing weight often helps limit your risk. Genetic factors: If cellulite is a common trait in your family, the likelihood that you will have cellulite increases significantly. Poor diet: A well-balanced diet is key for a number of health reasons, not just avoiding cellulite. Hormone changes: Estrogen encourages the building up and storage of fat, suggesting it could be an aggravating factor in cellulite development. Sedentary lifestyle: A lack of physical activity could lead to poor muscle tone which makes it easier for the effects of cellulite to be seen on the skin. Fad dieting: Similarly to poor dieting, fad dieting restricts certain dietary necessities in order to trim weight. A well balanced diet is always better than some sort of fad, weight loss diet. Metabolism: If you have a slow metabolism, fat may not be as readily broken down. Excess fat can lead to cellulite. Skin tone: Not necessarily a cause, but cellulite is more noticeable on lighter-colored skin. If you’re sick and tired of seeing that dimpled, bumpy skin staring back at you every time you look in the mirror, there’s good news: there are a variety of treatments for cellulite. Liposuction: Cellulite is fat and liposuction removes fat. Seems logical enough, however don’t fall into that trap. Liposuction actually isn’t a great treatment for cellulite and could even worsen the condition. Liposuction targets deep, underlying fat deposits. This has little effect on the fat surface-layer fat causing cellulite. Lipodissolve: Unlike liposuction, lipodissolve is a viable treatment for cellulite. Procedures like lipodissolve and mesotherapy melt fat through a series of injections of things like vitamins, minerals, amino acids and enzymes. Massage: Who doesn’t love a massage? Add to it the fact that it could actually help treat cellulite and it’s a win, win. Improved blood circulation and lymphatic draining offers a temporary respite to the appearance of cellulite, but unfortunately it does not get rid of it. Creams: The jury is out on the effectiveness of cellulite creams as a treatment for the fat. Be careful of sales gimmicks promising dramatic results. The mode of action narrows the blood vessels in the area, helping to disguise the appearance of cellulite. But this narrowing of the blood vessels could be problematic for people suffering circulatory problems. Allergic reactions to the creams are not uncommon. Laser Therapy: Laser therapies such as Cellulaze targets cellulite through the use of advanced laser technology. It melts the fat causing cellulite and also stimulates collagen production which helps to smooth the skin and improve its overall appearance. Laser treatments have been shown to help reduce cellulite is some individuals, but not everyone. Radiofrequency: These types of treatments use radiofrequency energy to break apart the cellulite’s fibrous network and cause fat cells to shrink by extruding their fatty acid. Examples of radiofrequency treatments include Thermage and Venus Legacy. 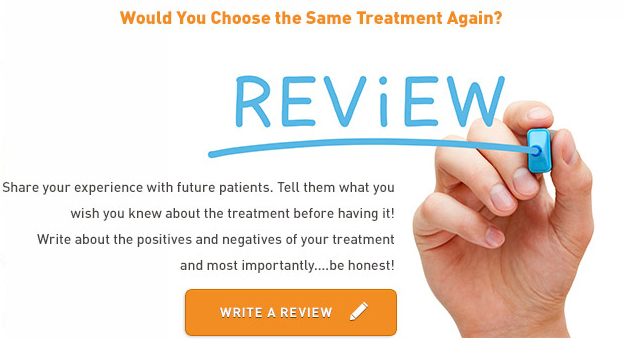 Reviews from cellulite patients on radiofrequency treatments are mixed. Ultrasound: Uses ultrasound technology to heat up fat cells and improve skin’s elasticity which can temporarily remove cellulite. VelaSmooth is an example of an ultrasound treatment. Reviews on ultrasound technology as a cellulite treatment are also mixed. No Laser, Heat, Sound or Radio Waves: There are treatments on the market that don’t use Lasers, heat, sound or radio waves. Cellfina is one of those treatments which reduces cellulite by treating it at the source: the connective bands that are woven through fat deposits to connect your skin to your muscles, making the dimpled effect. In sum, there is no clear winner when it comes to treating cellulite. The only way to identify the right treatment for your unique needs is to speak with a qualified doctor. During your consultation, your doctor can evaluate your goals and your health to identify the right treatment for cellulite, or perhaps suggest an alternative approach. In addition to the aforementioned treatment options, there are a number of things that you can do in your everyday life to help limit your risk for cellulite. Stay hydrated: If you are dehydrated, you run the risk for a series of health-related issues, including the development of cellulite. Drink plenty of water and vegetable juice to maintain optimal health. Clean dieting: A well balanced diet is always good for your health. Fill it with unprocessed alkaline foods like fruits and vegetables will help limit your risk for cellulite. Say no to salt: A salty diet is bad for blood pressure and health in general. Limit your salt consumption, and when you do use it avoid refined table salts. Instead reach for natural sea salts. Exercise: When you exercise you help to naturally detoxify the body by expelling toxins through the skin. You also help improve muscle tone and skin tightening, helping to avoid fat buildups associated with cellulite. Avoid skin thinning creams: There are a number of creams that include things like steroids which can thin the skin. This can enhance the appearance of cellulite. Cellulite treatment is cosmetic, meaning that you will be responsible for 100 percent of the cost. This cost can fluctuate significantly from patient to patient, location to location. Massage therapy or other spa treatments may cost a mere $100 to $150, while lipodissolve could cost upwards of $1,250 per injection. Laser therapy for cellulite could be $5,000 to $10,000. With such a degree of cost disparity, the only way to get an accurate measure of how much cellulite treatment is going to cost you is to speak with a qualified surgeon.